Jews make up less than 1% in this world, and Israel's Jewish population is 6 million. About 6 million live in the USA and possibly about 2 million are scattered through other parts of the world. It's become the social and acceptable thing to do: bash Israel. It's a small group of people living in a small country. So many journalists are doing it. Israel's become the scapegoat of the world right now. Right after 1967 Israel was the most popular entity when single handed and with the tiniest force on earth of IDF soldiers, Israel withstood the attack of the surrounding and even more distant Arab countries-and lo and behold, little Israel won the battle which not only allowed her to survive such an immense attack, but also to regain land she had lost to Jordan that was rightfully hers in 1948. Egypt, Jordan and Syria were the main countries attacking. Nasser had even had the UN troops sent away, giving him more of a free reign. Then Nasser blocked the Straits of Tiran. He moved 100,000 men and 1,000 tanks into the Sinai while the other Arab states quickly made their moves of attack on Israel. The Arab world was hysterical in wanting to attack Israel. It was over in 6 days. Israel won. She gained East Jerusalem, Judea and Samaria, and Gaza. Now, Israel was being praised instead of being kicked around. Before 1967, the Arab nations were not really interested in helping the Palestinian Arabs do anything. They wouldn't assimilate them into their countries of which had much land. They just wanted to hold them in abeyance as a thorn in the sides of the Jews and did so with refugee camps. " The Palestine-for -the Palestinians" cause had been met with complacency and crass ignorance. Musa Alami, an Arab Palestinian activist, writer and innovator tried to interest the Arab world in a propaganda program in 1948 and was told that all that was needed was a few brooms to drive the Jews into the sea." Now they saw that they needed more than that. They should have known because they lost the war of 47-49 and 1956. This was the 3rd attack. It wasn't the last, either. They tried again in 73 and lost that one, too. The bashing has even reached Australian journalists who have really never known many Jews as the population there had gone from extinct to having been quite small, but now has reached 100,000 in a country of 22.5 million. Jews were not allowed into Australia during the 1930's or WWII. It wasn't until after the war and with a lot of pressure was this island country accepting any Jews into their Anglo country. Today Australia has the 9th largest Jewish population in the world. Isi Leibler, from Australia, points out that reporting is relying on untrustworthy and prejudiced sources such as false testimonies from Arab propagandists. Some people quoted might be disgruntled or retired officials who have an ax to grind against Israel. Human rights organizations have taken sides without having any background so are also highly questionable. People forget to ask the basic question, What's Your Source ? What do you know about it? Don't just state it and say that's it. Isi has even seen quotes that are merely uncorroborated accusations that Israeli soldiers beat a child "to a pulp" that that is used without being checked. Islam has also grown in Australia with 475,000 now, which is 4 times more than Jews living there. Are journalists aware that no country has a better record of military practices than Israel? Soldiers are trained to follow a strict moral code and punishes those to do not follow it. The country lives under a stricter moral code anyway than most countries. Isn't that a basic difference anyway between Israel and other lands? Only the Jews were ready to follow a lot of laws of behavior? 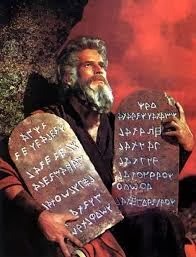 How about the fact that the USA doesn't even allow the Ten Commandments to be on public property but in Israel, it's basic law. Muslims have their worship and so do Christians and others in Israel. There's freedom of religion in Israel, but it is a haven for the Jewish people, since that's why it was created in the first place. The UN is the first site to use double standards, attacking only Israel 99% of the time. Look at the people who are on the Human rights committee for 2014, 2015 and 2016. . 11 Muslim majority countries of the 47 on the committee as well as Russia and China. There is Algeria, Burkina Faso, Indonesia, Kazakhstan, Kuwait, Maldives, Morocco, Pakistan, Saudi Arabia, Sierra Leone and United Arab Emirates. 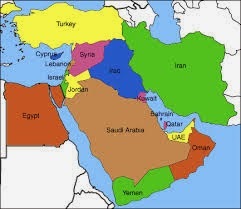 Israel's size compared to the Arab world is about 1/625 or 1/6 of 1%. 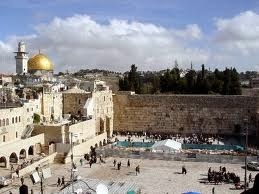 Israel is the only country who has come back to its original land of its history. It's the only country in the Middle East where the Christian population is thriving instead of disappearing-by any reason, attacks, or being forced to leave. Israel now has 6 million Jews and 1.7 million Arabs in a sea of 300 million Middle Eastern Arabs and Muslims. Can they ever get any justice? There is so much bashing and lying going on that I work to find the truth and present such facts. There is no need for me to criticize Israel as there is enough negativity already presented by their own reporters. Israel doesn't mind someone bringing out a mistake made. "Israel itself is made up of hyper-self -critics and their highly critical public who always demand transparency and rectification of mistakes or misdeeds. "Israel's hyper self-criticism, at times even masochism, underlines the highly developed sense of morality to which the Jewish state holds itself." Nobody is under a magnifying glass more than Netanyahu is. Though he is a Prime Minister of such a little country of only 8,019 square miles, no leader from another country is under more pressure or surveillance. Israel is smaller in size than El Salvador, New Jersey, Taiwan, UK, California or France. The Jews of France are suffering under so much anti-Semitism today that many have already made aliyah to Israel. France is made up of 211,209 sq miles yet can't contain their people from being so hateful against Jews. 2,185 French Jews made aliyah in 2013. There are about 2.1 million Muslims in France. Roman Catholicism is first and Islam is 2nd in this country. There are 56 Islamic countries in the world of which 48 are the majority. Islam has 1.3 billion adherents. Christianity is still the most populous with 2 billion people. Roman Catholics make up 49 countries. Protestant countries of majority number 20. There are 12 Eastern Orthodox countries. 4 Hindu countries have 900 million people. Let's not forget that there are 360 million people who are Buddhists, and then there is our 1 Jewish majority country, Israel. Jews spent many years in the planning stages of creating Israel. "Yusuf Diya al-Khalidi, Mayor of Jerusalem in 1899 said, Who can challenge the rights of the Jews in Palestine? Good Lord, historically it is really your country." Emir Faisal, the head leader of the Arab world in 1919 said, "We Arabs, especially the educated among us, look with deepest sympathy on the Zionist movement...We will wish the Jews a hearty welcome home...Our two movements complement one another." And he was right, except that England botched up the plans and the Jews and Israel have been suffering from the errors of Great Britain's decisions. There are 2 kinds of journalists: the real kind who checks their sources and those who just want to sell papers with gossip. That's the kind that people have become when they hear the word "Israel" today, the gossipy kind. If you pick up a new item about Israel and they are bashing it unrestrained, use it for trash. Go to a better source that you can trust. Update: 3/15/14" Unlike its commercial competitors (such as ABC, CBS, CNN, Fox, MSNBC, and NBC), the network, Al Jazeera in USA, doesn’t care that much about general viewer ratings. Rather, it aims to influence opinion makers like teachers, broadcasters, and editorial writers.